Develop and express movement that integrates both inner and outer selves. 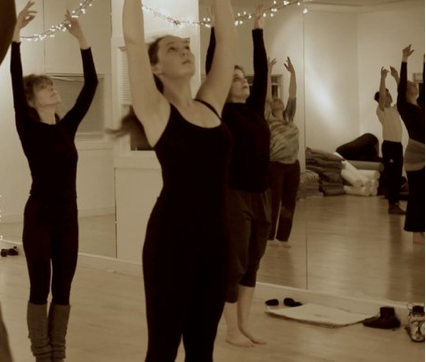 Use techniques stemming from jazz dance stylists, somatic pioneers, and various ethnic traditions to delve deeper into the physical poetry of the moving body. Detail will be placed on alignment, flow, nuanced execution, intimate connections in space, and overall health and well being. This class is informed greatly by musical compositions that suggest a connection to movement and space. DRESS CODE: Comfortable clothing you can move in - layers are good.